Euronext is rebranding several elements of its market structure including Euronext Access, Growth, and Alternext. Euronext, Europe’s largest exchange, has launched a number of measures to its market infrastructure, helping facilitate improvements for mid-cap companies and other listings, according to a group statement. The group will implement a laundry list of new measures beginning as early as June 2017, which will see targeted changes in its market structure, also yielding several alterations to its issuing, listings, and sponsors. More specifically, the changes come ahead of a change in the regulatory playing field – MIFID II. As such, Euronext will be embracing more simplified market names, helping foster easier identification and definition of its listing and service offering towards issuers. 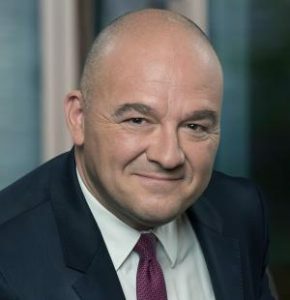 The Free Market will become Euronext Access, which will stand as the gateway for companies seeking simplified access to listing – Euronext Access is already integrated into Euronext’s commercial offering. Moreover, Alternext will become Euronext Growth, acting as a market dedicated to mid-caps with listing requirements adapted to their specific needs. Euronext – compartments A, B and C – will remain the group’s regulated market, and operate with no changes. Euronext will also be opening a new compartment called Euronext Access+, which will be designed for both start-ups and SMEs. Euronext Access+ will oversee a range of operations with the aim of ensuring a smooth transition and acclimatisation to other Euronext markets. Companies will be eligible to apply for listing on this new compartment so long as they comply with several criteria. This includes financial statements covering at least two years, including audited accounts for the previous year, a €1 million minimum float, an obligation to have a listing sponsor, and a commitment to regularly communicate towards the market. Euronext will also be fortifying the role played by listing sponsors to help improve the involvement and support available to mid-caps as they list. Consequently, the exchange will be appointing a listing sponsor for companies making their market debut on any of Euronext’s markets (Euronext Growth, Euronext Access, including its Euronext Access+ compartment) will be mandatory. “Any business grows by focusing on the next step in its development. We are convinced that Euronext’s exchanges and services offer excellent solutions for each step in financing the growth of European companies,” Boujnah added.